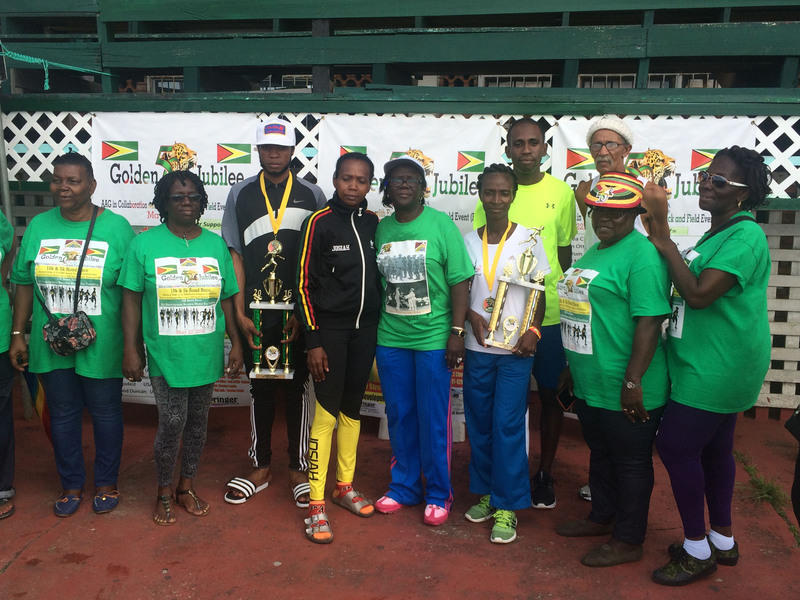 Winston Messengher dumped heartache on Cleveland Forde upsetting him to take gold in the blistering ‘Golden Jubilee Independence’ 10k race yesterday. Messengher clocked 32 minutes and 46 seconds in perfect conditions for racing. Forde, the pre-race favorite, who ran in about 200m behind with Cleveland Thomas (33m: 25s) on his hip, completed the trek in 33 minutes and 24 seconds. Nathaniel Giddings (33m: 49s) and Odwin Tudor (34m: 25s) filled out the top five positions. 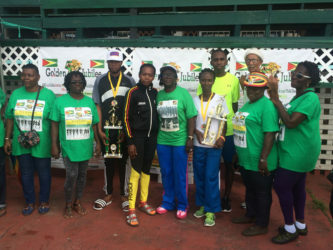 Some of the prize winners along with the organizers of the Golden Jubilee Independence’ meet pose for a photo following the presentation ceremony at the GNS Complex yesterday. Messengher had a good day at the office but what was more impressive was his modus operandi for the race which started at Everest Ground, proceeded to UG road (via the seawall road) and returned to the GNS Complex for the finish. The Running Brave Athletic Club standout changed gears at the 3km mark from the other six runners in the lead bunch and never took his foot off the pedal. Forde, with Thomas beside him, made a move at the 6k mark but his valiant effort proved futile as the ever improving Messengher maintained his lead with every powerful turn over. The always entertaining Messengher then put an exclamation mark on his signature win of the season with his trademark finishing sprint in the final 60 metres. For his efforts, he pocketed the $US200 first prize. “It was a great win,” said Messengher. 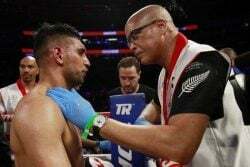 “I have been training hard and I’m glad that it has been paying off,” he added. 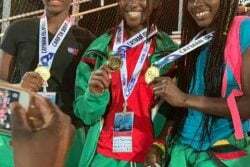 Meanwhile, other category winners included Euleen Josiah-Tanner (female Open), Guiltermo Odenhout (male masters), Cyrleen Phillips (female masters), Moses Best (u-16 male) and Aaliyah Moore (u-16 female). NOTE: For the 5km race (for athletes 14-16 years) the top three in the male and female categories each received bicycles, a helmet and a lock. 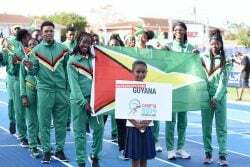 Burgette Williams-Forde, chief organizer of the meet which was a collaborative effort of the Athletic Association of Guyana (AAG) and former athletes based in North America, thanked the athletes for making the event a success.